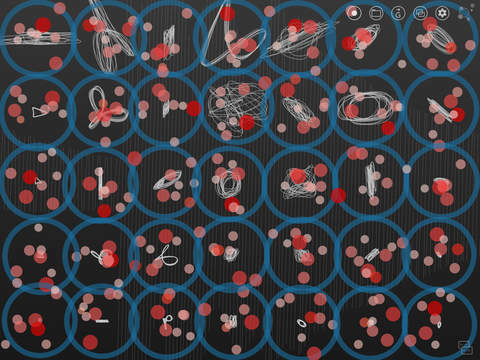 Borderlands Granular is a new musical instrument that enables people of all ages to touch, transform, and explore sound. Simply double tap to begin! “It’s beautiful, it’s absolutely great. It goes in a completely new direction." Borderlands Granular uses a technique called granular synthesis, which involves the superposition of tiny fragments of sound, or “grains," to create complex, evolving timbres and textures. The app is designed to be easy to use, emphasizing gestural interaction over knobs and sliders. 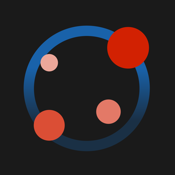 Create, drag, and throw pulsing clouds of grains over a landscape of audio files, or use the built-in accelerometer to sculpt sound with gravity. Simply double tap to begin! Borderlands comes ready to play with default sample content included, but you can also load and export your own sounds via Audiobus, Audioshare, and real time input from the mic or external audio interfaces. 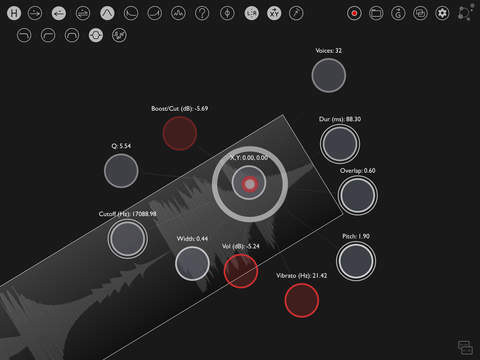 Re-sample recordings made within the app on-the-fly for layers-upon-layers of granulation. 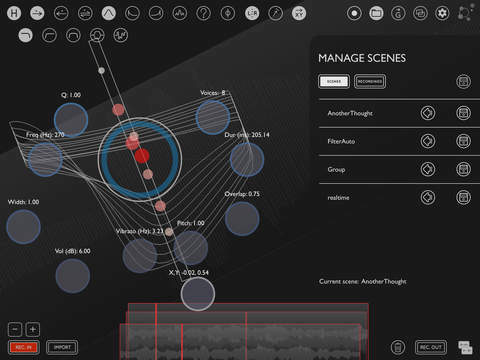 You can also improvise alongside the app - touches and parameters may be recorded, looped, stored, and duplicated. Entire configurations of clouds, sounds, and automation can be saved into presets, or “scenes,” that may be recalled at a later time, allowing Borderlands to seamlessly transition between the studio and the stage.